Amsterdam may not seem like a romantic destination, but there is a lot of love in this Dutch city. A stroll down the canals, hand in hand with your love, while the locals cycle by, also often hand in hand. Or take a canal cruise and snuggle on the boat while you take in the beautiful 17th century sights. Oh, and don’t forget to treat your love to a bunch of tulips at the Bloemenmarkt! Bali is without a doubt a romantic getaway destination: the beaches, the views, the sunsets, what more could you ask for? The island is a perfect couple’s paradise! For those wishing to splurge, check out the AYANA Resort and Spa in Jimbaran for first class luxury! For those looking for luxury on a budget, this can still be found at Keraton Jimbaran Beach Resort with its own private beach! While you’re on the island be sure to check out Sanur for its relaxed vibe, Ubud’s rice paddies and in the north: Lovina to do some dolphin watching! The canals, the gondolas, the gorgeous historical buildings – Venice is full of romance! It has been the setting of many a love story, and one of the most famous ones is the tragic love story between a fisherman and a mermaid. All that is left of their love is a stone heart that is said to bring eternal love to those who touch it, so make sure to take your own love there. For the best view of Venice, check out Ponte dell’Academia, also known for the many love locks attached to it. Just don’t leave yours there, the locals will not appreciate the damage done to the historical bridge. The beautiful Lake Garda, with mountains in the distance, makes for a stunning scene for the couples seeking an active vacation. Visit the historical harbour of Sirmione, go hiking in the nearby mountains and end your day in one of the area’s excellent Italian restaurants, or watch the sun set into the lake on the beach. With all the romantic comedies set in New York, it would be hard to argue why New York does not belong on this list. It is the perfect urban setting for your very own love story. Exchange kisses on the top of the Empire State Building, take a stroll in Central Park and re-enact your favourite romantic movie scene in the city that never sleeps. To spread the love, Marco Polo is organising a giveaway! 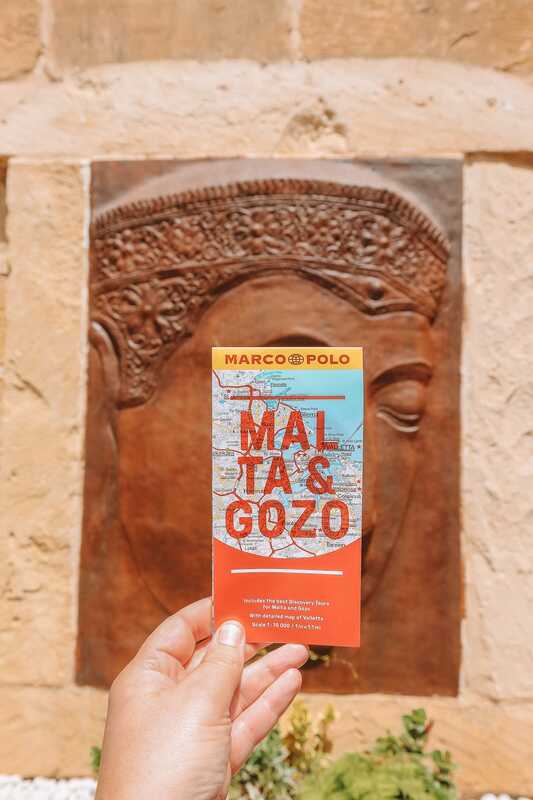 We are giving away a set of 5 Marco Polo Pocket guides to one lucky winner, chosen at random. Simply share the story of your most romantic travel moment or your favourite romantic destination in the comments below. You can earn more win-chances by liking our Facebook page and by following our Twitter and Instagram and by letting us know in your comment that you have done so. The competition is open from Wednesday 14 February 2018 until Tuesday 20 February 2018 at 12.00 GMT. We will contact the winner personally via email using the email address used to leave the comment so make sure to check that it is spelled correctly! The promotion is open to UK and EU residents aged 18 or over, excluding employees and their immediate families of Marco Polo, its agents or anyone professionally connected with the promotion. To enter, simply comment on the blog post. Additional win-chances may be acquired by liking the Marco Polo Facebook page and by following the Marco Polo Twitter and Instagram accounts. If the entrant has done any of the mentioned actions, it should be stated in the comment. This competition will commence on 14 February 2018 and all entries must be received by 12.00 GMT on 20 Febryary 2018. The Promoter accepts no responsibility for any entries that are incomplete, posted late, misdirected, and incorrect, garbled or fail to reach the Promoter by the closing date for any reason. Entries via agents or third parties are invalid. The Prizes: 1 x prize winner will receive 5 x Marco Polo Pocket Guides: (£7.99 each). To the full extent permitted by law the Promoter will not accept liability for any loss, damage, injury or death arising from this promotion beyond its reasonable control. It’s Day 12 of our Advent Calendar and it’s also December 12th, the first night of Hanukkah. We are headed to New York, to find out how the big Apple celebrates the Festival of Lights. Did you miss yesterday’s post? Check it out here! So far most of our Holiday traditions have revolved around Christmas, but it would be remiss of us to ignore the other big celebration of the Holiday season, Hanukkah, also known as the Festival of Lights. From the evening of December 12th, until the evening of December 20th, Jewish people around the world get together with their families and friends to light the candles of the hanukkiah, the Hanukkah menorah. New York has a large Jewish community, and among all the pre-Christmas parties, there are also lavish Hanukkah celebrations to be found. On the Upper East Side, on the 59th Street and Fifth Avenue, the world’s largest Hanukkah menorah is lit every evening of the Hanukkah, around 5:30 PM (see image above, from last year). In other parts of New York there are also large public Hanukkah menorah lighting ceremonies, though the one in Brooklyn is known as ‘the Largest’ (not to be confused with the world’s largest on Upper East Side). ‘The Largest Hanukkah’ menorah lighting ceremony also hosts a free concert on the first night of Hanukkah and there are also hot latkes and presents for children. Even if you are not Jewish, it is the perfect time to learn more about the Jewish traditions, as many museums in New York, such as the Children’s Museum of Manhattan, have special exhibits on the topic. At the Children’s Museum of Manhattan, children – and parents – can learn all about the dreidel. Entry to The Museum of Modern Art (MoMA) is free every Friday afternoon. The museum’s collection of contemporary art is phenomenal and its special exhibitions are outstanding. Many regard the museum as the world’s best because it gives the visitor a conclusive overview of 20th century art thanks to masterpieces such as Henri Matisse’s Dance, Vincent Van Gogh’s Starry Night, Frida Kahlo’s Self-Portrait with Cropped Hair and Pablo Picasso’s Les Demoiselles d’Avignon. Perhaps the most inexpensive experience you can have in New York is the round trip on the Staten Island Ferry. When it pulls away from the shore you get to see the full sweep of the Manhattan skyline from the Statue of Liberty, Ellis Island and on to New Jersey – all for free. On the other side of the ferry the view is of Brooklyn, New York City’s biggest borough. Buy the New York Marco Polo Guide.